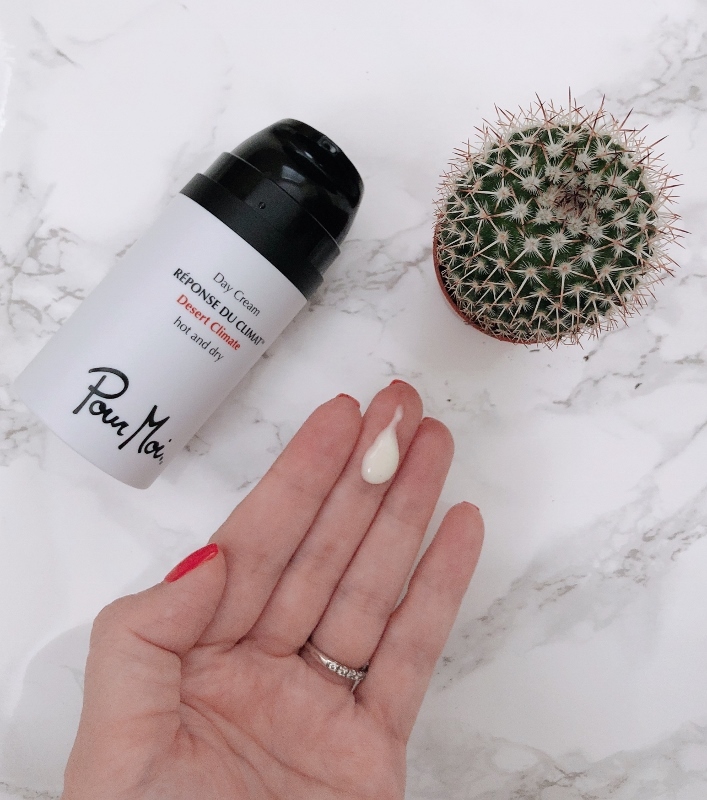 This post is sponsored by Pour Moi Skincare. They provided the products, and I have been using them for over one month. All opinions are my own. One of the challenging parts about living in Murrieta is the dry climate. My skin feels it the most. I have an oily face but incredibly dry, eczema-prone skin everywhere else on my body. Sometimes it can be hard to manage! I've always read that the skin you have is part hereditary, and part how you take care of it. Thankfully, my mother is almost 70 and her skin has always been flawless. She can count on one hand the number of times she's gotten a pimple. My dad on the other hand had a bout of acne as a teenager, and has since had fairly problematic skin, so I guess I fall somewhere in the middle. I do what I can to stay healthy - drink lots of water, eat nutrient-rich foods, exercise. But I hadn't thought of how the environment I live in directly affects my skin, even more so than other factors. Why wouldn't I use products that are formulated for a desert climate? 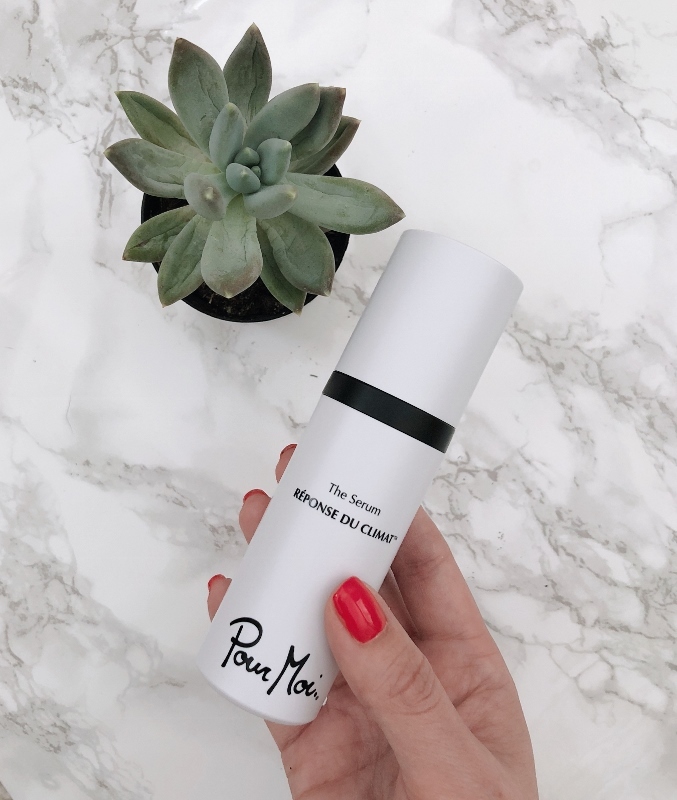 I didn't even know this existed until Pour Moi Skincare. 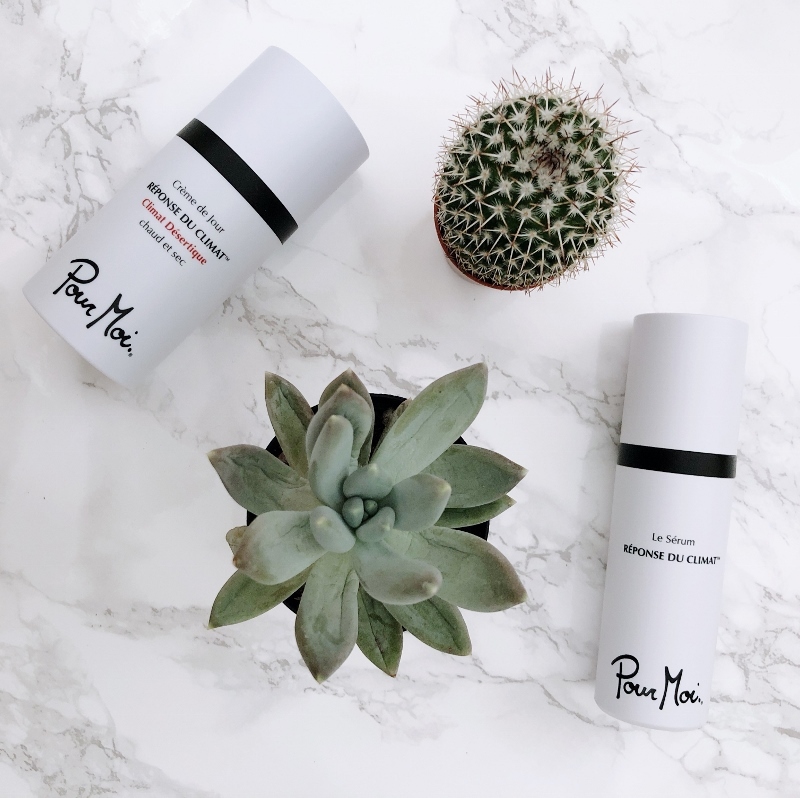 Their whole line consists of skincare products designed with different climates in mind. My skin in Maui is MUCH different than my skin in Murrieta. I'll even go down to the coast for a day and my skin instantly feels softer and less dry than it does when I'm home. Climate smart skincare is brilliant! Whether you live in a tropical place or a more mild climate, there's a cream for that. Murrieta is dry, hot, and did I mention dry and hot? Desert Day Cream: I use this morning and sometimes at night. Designed for high temperatures ( 75 degrees F - 120 degrees F) and low humidity (less than 45 %). It has a very light-weight feel that sinks immediately into the skin. It barely has any scent at all, which is great if you're more sensitive. It isn't oily or greasy, and doesn't leave behind any residue. I love applying it first thing in the morning, underneath makeup, for an even finish. The White Serum: I use the white serum at night, underneath the day cream or another nighttime moisturizer. This is designed to control excess oil production, which I definitely need these days. It is extremely light and silky, not at all oily like most serums I've tried. I don't feel like I'm using something that will cause a breakout, as it absorbs into the skin very quickly. If you have oily skin, I highly recommend this! Both of these products feel very light, comfortable, and just the right amount of moisture I need this time of year here in SoCal. What do you think of "climate smart" skincare? What climate do you live in? What a cool concept! It does make a lot of sense that we need different products for different climates. Glad you are liking these products! That is so clever that they've factored in geography with your skin type! Glad you are getting good results with this product, and man, I'm jealous of your mom's skin! I LOVE this! This is so smart! Thank you ladies! It really is such a smart approach to skincare!